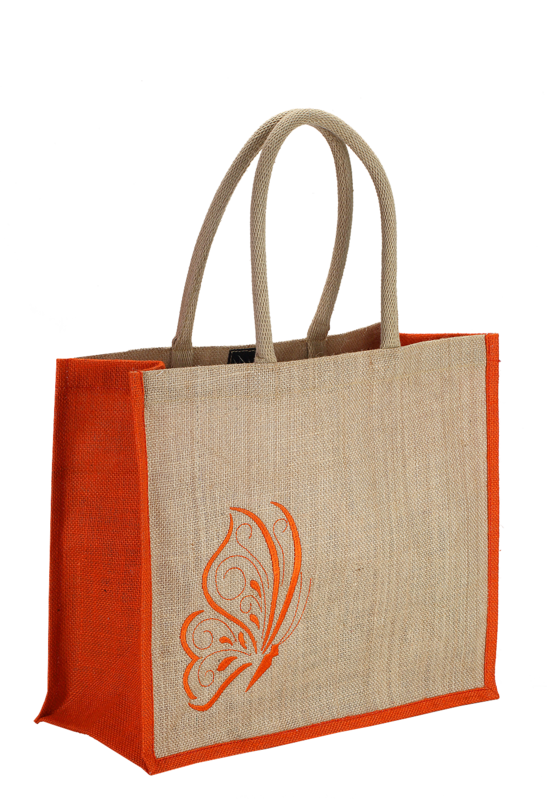 This red color Jute bag is very stunning to look at. 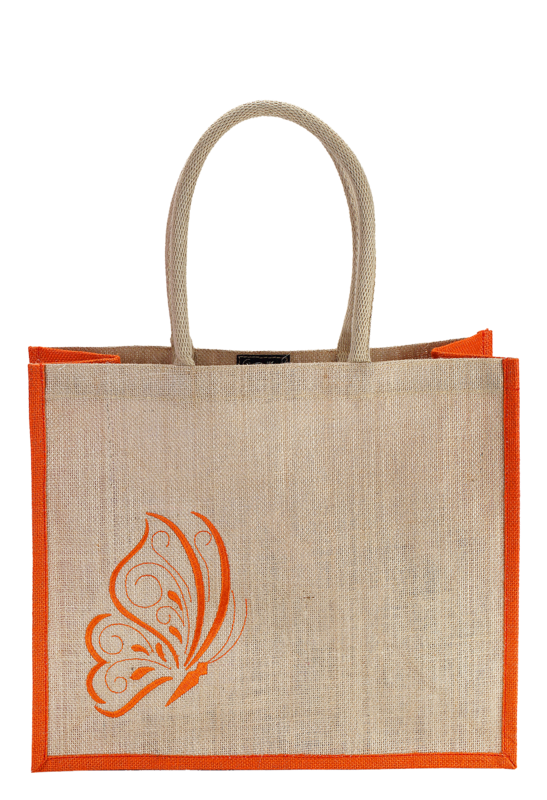 Though it resembles other jute bags accessible in the market, but additionally it includes a fresh and innovative design of a gorgeous butterfly which adds a trendy look to the product when you endorse your business name on top of it. Not only is it stylish, but also very spacious with 34.5cm height, 40cm width and 18cm depth. 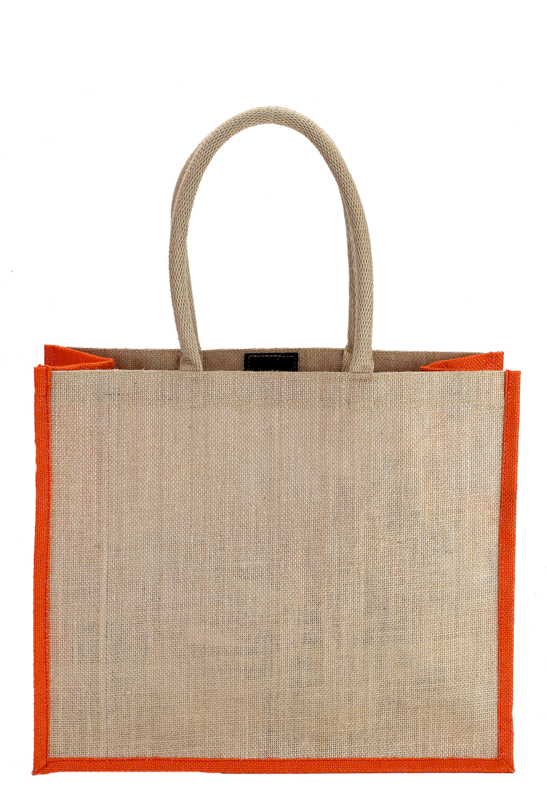 With its robust and beautiful roped handles, you can use it either as a handbag or as a tote.